 The iPad and iPhone don’t freeze or crash often, but when they do it can be an epic freeze-up, where the device can either get stuck in an app or, worse, it gets frozen on the dreaded iOS “spinning wheel of death”, the little wait cursor that never goes away. Left on it’s own in that state, that spinning wheel can quite literally spin forever until the battery drains and the device dies out, but that’s obviously not a solution to resolve the rare major iOS crashes. We’ll cover three tricks to fix major iOS crashes, the first will attempt to just exit out of the crashing application, the next will forcibly restart the device, and finally for the worst scenarios, we’ll restore iOS as new, though that really should be a last resort that is rarely applicable to most situations. A quick reminder: the spinning wheel can also be an indicator of general activity, and does not always represent a crash or frozen device. If you’re updating apps, updating iOS, or performing a task in an app, it’s quite likely you’ll see the spinning wheel as part of normal behavior. We are not trying to correct normal behavior here, and we are only looking to resolve crashes and freezes where an iPad, iPhone, or iPod touch is completely unresponsive and truly frozen, often displaying that same cursor in the process. If you’re not sure what to look for, refer to the video below which demonstrates a completely frozen iPad stuck on a crashed app. If forcibly exiting the app didn’t work, it’s likely the entire device has either crashed or frozen up. If this is the case you should issue a forced reboot, 99% of the time this resolves the spinning wheel issue entirely and you’ll be back to using the iPad or iPhone as usual. You’ll know this has worked because the screen will turn black and then an Apple logo will appear. Force reboots take longer than a standard reboot, so don’t be surprised if this takes a minute or two for the iOS device to resume to normal usability. The key thing to remember when forcibly rebooting is to hold down the buttons concurrently. If you hold them separately, iOS will attempt to force quit the current app instead, which is not going to do anything if the device is completely frozen up. If you’re seeing a spinning wheel after updating to a new version of iOS, wait at least 5-10 minutes before trying anything else, it’s possible the device is simply updating itself. On the other hand, there are rare cases where it’s possible to encounter the spinning wheel on boot that doesn’t go away. If this happens you’ll almost certainly need to restore iOS with iTunes, which requires the assistance of a computer and tethering the device by USB cable. Note: If the iPad or iPhone does not appear in iTunes, put it into DFU mode first and then restore as usual. The reason it’s best to restore to factory defaults first is to be sure the iOS device works with a fresh clean install of system software. If the device doesn’t work with an empty slate of iOS, the problem could be hardware and a visit to an Apple Genius or a call to Apple Support may be in order. On the other hand, if the iOS device does work fine with a fresh install, you can now use iTunes or iCloud to restore from a recent backup. The best way to do that is to reset to factory settings directly on the device, then during the new setup choose “Restore from iCloud Backup”. Everything should now work as expected and you’ll be back to normal. The solution in this case was the Force Reboot method mentioned above. Do you have another solution for resolving a frozen iPad or iPhone? Let us know! 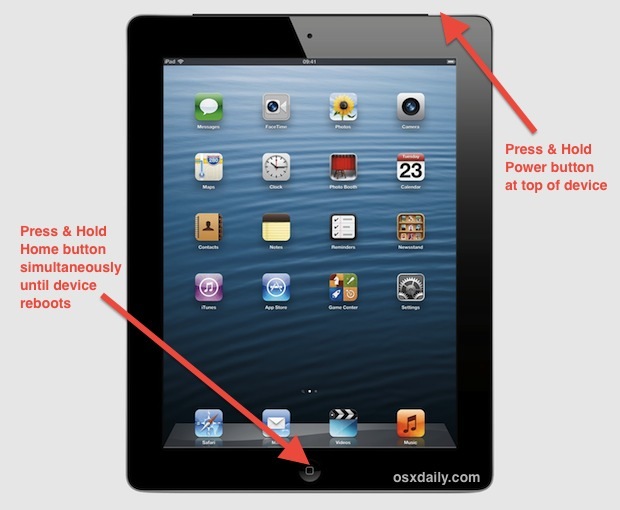 Yes, once the ipad or iphone device has rebooted you do not need to hold down everything again. I want to thank you so much I would of been in panick mode if I wouldn’t of found your web site! I loved that your answers were extremely easy to understand on the information, lucky my problem was a easy fix of holding the buttons down and my phone Luckily it came on! So thank you! Yes I too am very thankful for this website! My iphone just froze as well and I tried the steps and it’s all good now! Fixed! I want to thank you for saving me great expense. I had the continual spinning wheel which flashed back and forth to the apple sign. I tried everything I could think of till I found your site. It worked instantly, took only a few minutes to reboot and now I am back in business. I didn’t put a code after I scanned my finger and now it won’t open up for me after I turned off my phone. It asks for a code which I didn’t set up. What can I do to restore my phone. You’re as much a genius at explaining as at solving a frustrating problem. I add my thanks to everyone else’s here. Saved my life, thank you so much! Well done ,I thought i was going to need a new phone at one point, but I read you links and sure enough it rebooted and phone is just fine again . Thanks. Thanks so much! Easy instructions! You’re a life saver. Thank you so much. I was dreading the trip to the Apple Store until I found this. You’re a hero! Thank you so so much. My 6 year old was driving me crazy and because we live in a very small community, there was no where I could take his iPad locally to be fixed. You saved my sanity, thank you again!! You are a Godsend. I was about to lose my mind but this fixed it. Thumbs up! Hi, re circle of death. I used the 2) option. I didn’t know you could reboot by pressing BOTH the close and start buttons. Yay! It worked. Whew! Thank you! Option 2 worked for me. What a relief. Mannnnnn…..thank you! Your recommendation worked…normally don’t take the time to comment but I was buggin out for a sec! Much appreciated! My iPhone 5c froze after input of the security number. I tried to shut down but no luck. Option #2 worked perfectly and I am back up and running. What a relief! Thank you so very much for these easy to follow directions! Thank you very much for the information. Really helpful and iPad now working again. I was panicking because I thought it had a virus or something. Such a relief to have it back to normal, I was starting to get twitchy!! Many thx again. Thanks so much for the help to get my frozen iPad up and running again…Much appreciated! Thank you soooooo much. It worked immediately, just like you said. Thank you sooooo much. It worked, just like you said. Perfect instructions! You saved the day! Thanks a million! You guys are awesome! Appreciate the fact that you speak “human” and knew what to do. Tried to get help from Apple but they wouldn’t talk to me because I didn’t know the serial number (have you ever tried to read the one on the back of the iPad? it’s microscopic?!). Anyway, a million thanks. Thanks for this! Super helpful! Like everyone else has stated, I was in a panic! First the screen of my iphone 5s was not responding to touch, then when I tried to power down it changed to a black screen with the spinning wheel. I couldn’t make it do anything! I’ve only had this phone for 2 months! But after reading the comments on here, I held down both the power button and the home button and it worked! Problem solved! THANK-YOU!!! this was such an easy fix, which I would not have thought of; you just made my day get much better! What if the sleep/wake button is Broken doesn’t work . 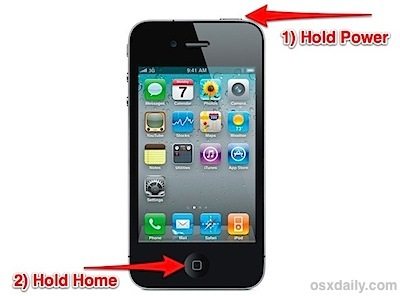 So how to restart the iphone without pressing the sleep button? You’re welcome Bob, I’m glad this helped you fix your problems with the iPad and the spinning wheel screen! Thank you for this article. Saved me lot of trouble and money. My Ipad has been in the spinning mode since today morning. Had not backed up the ipad in a long time. Luckly with the steps I was able to update IOS and not lose content.